As we see the evolution of the apps become more and more specialized, we realize this medium has unimagined opportunities and possibilities. We provide consulting and development of apps. We offer full creative on each app and design all the content necessary to develop a robust and interactive interface. We help our clients look at the ROI and research the viability and functionality of their finished product. Do you already have an app developer? We consult and help you navigate the process and can develop the creative content necessary to reach children, families and teachers. 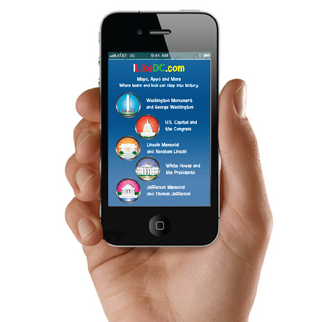 Download our I Like DC app on itunes. Contact us for a complimentary needs assessment and to learn more.